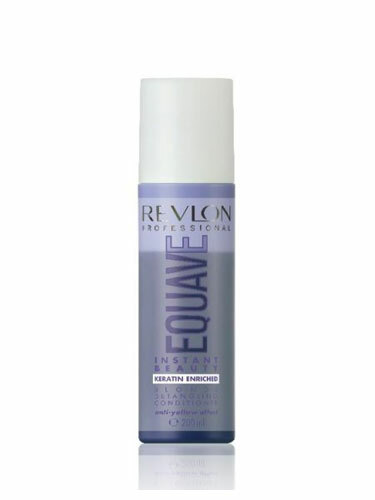 Instant leave-in detangling conditioner for blonde, bleached, highlighted or grey hair. Instantly detangles, repairs and moisturizes the hair, leaving it shiny and silky. Combines the conditioning and shine of the upper phase with the hydration and nourishment of the lower phase. The anti-yellow effect: contains a high percentage of blue pigments that revive color, enhance highlights and tone down the yellow in blonde hair. The instant result: intensely moisturizes the hair while illuminating and enhancing its natural color. Mix the two phases and spray onto just washed, towel-dried hair. Do not rinse.